The first time that I talked to Jen, I instantly bonded with her. It was one of those conversations that just flowed without pause, and I immediately wanted to book her as a client (because frankly it felt like talking to a friend). When the day came that I finally met Jen and Buzz (whose real name is Kevin, but everyone calls him Buzz) in-person, it was like being around two friends I haven't seen in a while. Jen and Buzz are so sweet and warm, you cannot help but like them right away. 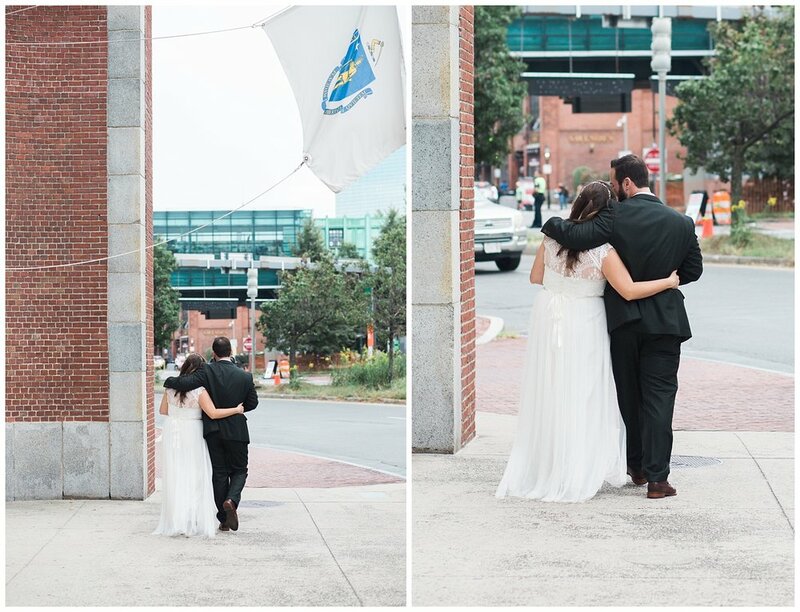 A few days later, I arrived at The Liberty Hotel on a very windy day to capture their wedding day for them. I arrived where Jen was getting ready with the bridesmaids (who were her sister and Buzz's sister) and the mothers. Everyone was so nice to me right away, basically welcoming me in as if they knew me. Shortly after when Jen was ready, we went down one level in The Liberty Hotel to do Jen and Buzz's first look. Little did we know, Jen's dad was also down there and we got to do a little father-daughter first look as well right before Jen and Buzz's first look. Jen and Buzz were so overjoyed seeing each other for the first time in their wedding attire. The grins on their faces were so big, and they just kept laughing and beaming. It was the cutest moment ever. From there I headed down to the ceremony site (but not without a quick photo of the bridal party walking through the lobby). The sky looked a bit threatening, but there was no rain and the wind dwindled down during their ceremony. 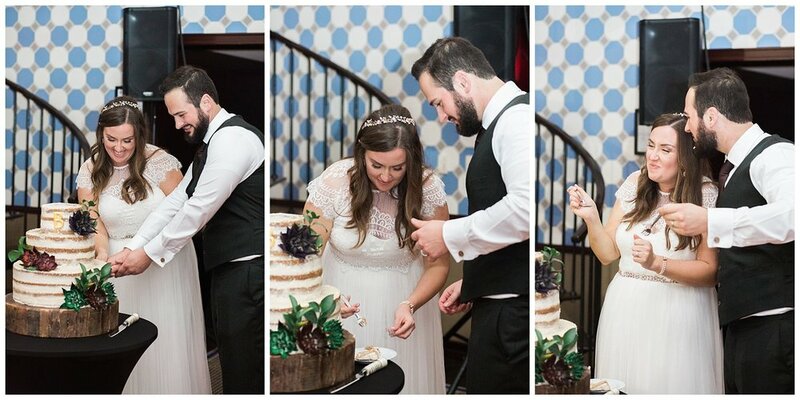 The ceremony was full of so many sweet moments, and I particularly loved their vows to each other. It was so personal and made everyone there both laugh and shed a couple of tears. Once the two said I do and kissed, they again were grinning from ear to ear and just beaming with joy and love. The Liberty Hotel had champagne for them waiting and we headed out to take a few photos of just the two of them. 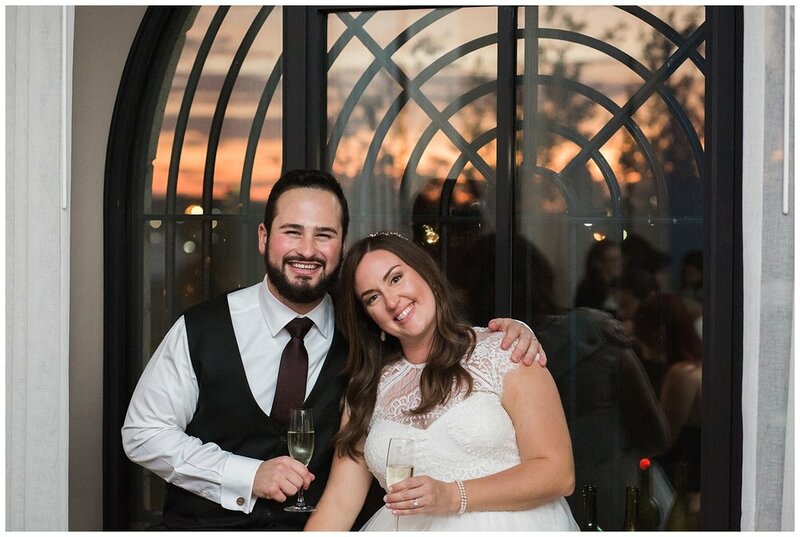 These two had so much fun, and kept joking about taking dramatic photos with their champagne and the wooden doors. We even got a few "American Horror Story" style dramatic photos in front of the entrance to The Liberty Hotel. After their couple portraits, and a bunch of family portraits (which were so sweet) the reception began with some fun dancing in by all of the parents and siblings, which then lead into Jen and Buzz's first dance. These two then welcomed all couples on to the dance floor and then there was a break for dinner. Shortly after that speeches were given by Jen's dad, Buzz's mom and step-father, and Buzz's sister. There were so many sweet stories shared, including how Buzz's mom actually knew Jen before Buzz did, as her teacher. Their families were so sweet and including, I felt like an extension of their family and it was so lovely. After speeches and cake cutting, the fun dancing part started. 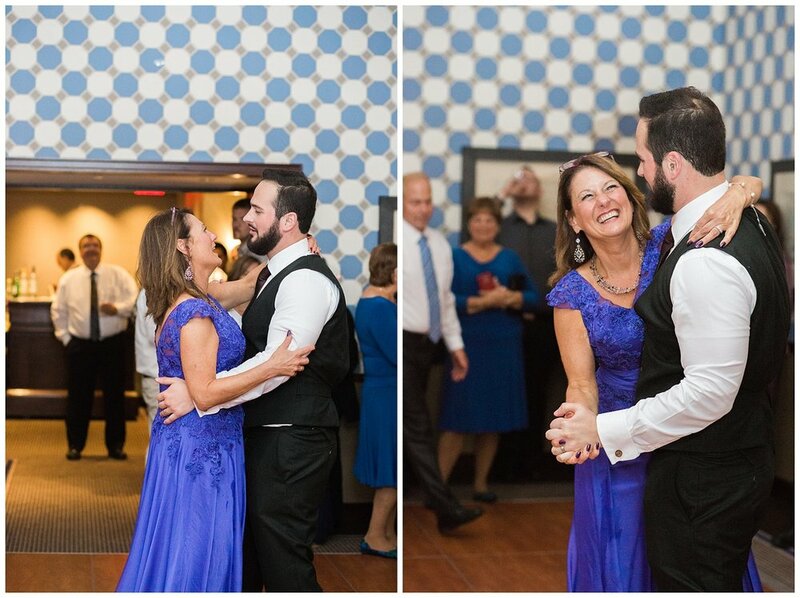 It was Buzz and his mom who ushered in the dancing by cutting quite a mean rug themselves, which got everyone else on the dance floor. It was one of those weddings that made me so very glad that this is what I get to do. I was able to capture so many lovely relationships in their lives, and it just made my heart soar. Jen and Buzz, congratulations again, I know you two will have all the happiness in the world.